Lauren Westmoreland serves as SEEA’s built environment director after beginning in 2013 as the organization’s energy codes manager. Previously, she was a building science consultant and trainer with Advanced Energy in Raleigh, NC. She also worked as an architectural designer for Bentley Architects + Engineers. Lauren has a Master’s of Architecture degree from North Carolina State University and a Bachelor’s of Science in Architecture from the Georgia Institute of Technology. She serves as the board secretary for the Georgia Building Performance Association (GA BPA). 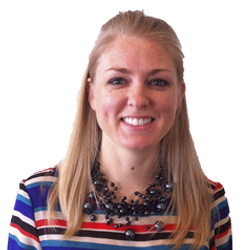 Lauren is a licensed North Carolina Architect, a LEED AP and a HERS Rater.